Join us as we transform one of Tobago’s best-kept secrets into a sea of COLOR. Come and be mesmerized by the exquisite ambience and splendid ocean view. 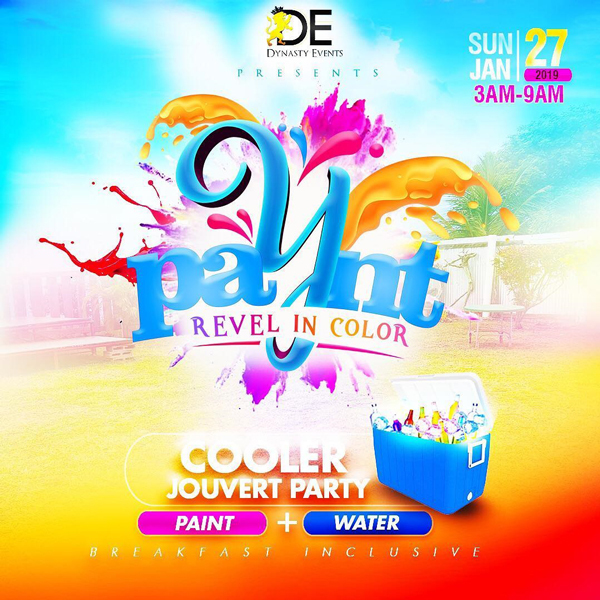 On January 27th 2019 at 3am-9am we assemble at Peter’s Place Plymouth, Tobago for an unforgettable jouvert paint party experience. Ticket prices are General $200 and Crew Packages (groups of 10) $1750. Tobago, IT Trinidad and Tobago W.I.